I’ve been a bit of a cranberry fanatic this season. I tend to do that. I hone in on some seasonal fruit or vegetable and try to serve it up as many ways as I can. 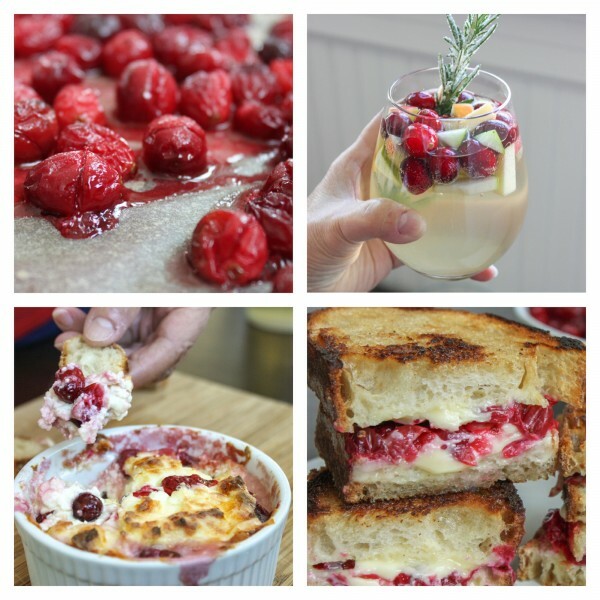 Here are a few of my new favorite ways to enjoy the cranberry. Let me know what you think. Though firm when raw, cranberries fall quickly to even just a little heat. You don’t have to bake them long. When finished, they are warm and almost melt in your mouth. This is how the cranberry is meant to be enjoyed! So please put away that wiggly Jello stuff. I suggest making an extra batch of the recipe above because these grilled cheese sandwiches are going to go like hot cakes. Oh! Cranberry hotcakes…why didn’t I think of that earlier? 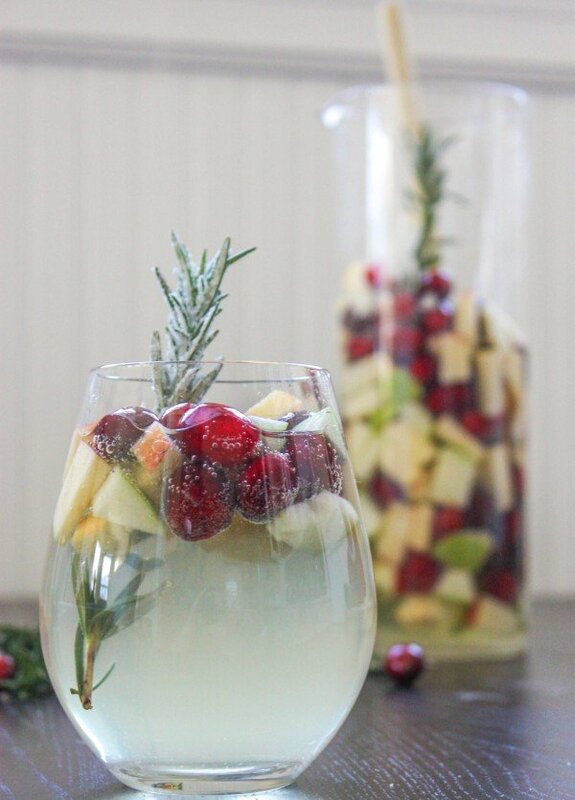 I do love a seasonal sangria and this one, with hints of rosemary and that candied rosemary garnish, is just the perfect holiday treat. Serve it all the way up into July as far as I am concerned! This is one tasty beverage I will be enjoying over and over. And over! This is one of those dangerous recipes. You know the kind where you cannot really make it ahead because you’ll eat it all before the guests arrive? I guess it is no surprise that a warm and gooey mixture of white cheddar, cream cheese and tart cranberries could be so tempting, right?